Sony said it was well ahead of its deadline to pass the 5 million mark in sales of PS4 by March. The company said that 5.3 million consoles had been shipped across the globe as of February 8. 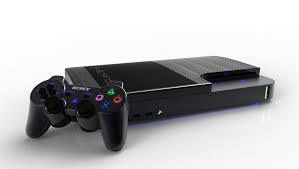 Sony takes pride when announcing these milestones of its popular PlayStation 4 console for gaming. This latest announcement of PS4 sales of 5.3 million comes just a few days after the company announced that it had sold nearly double the number of PS4 consoles as the Microsoft Xbox One, during January. Sony on Tuesday said the 5.3 million sold as of early February was significant since it had projected to reach 5 million at the end of March. Sony reached 1 million in sales of the PS4 after just the first 24 hours the console was launched in North America on November 15. Sony did not take that long prior to surpassing sales of 2 million units, as they reached that sometime in mid December. The new PS4 was given a launch in 32 countries, which has helped in its hugely successful acceptance in the video gaming industry. Late last week, Sony said it had outsold Xbox One its biggest competitor by nearly double in January, when Sony announced it has reached the 4.2 million mark in sales. Microsoft in comparison failed to have the same success as Sony. However, impressive sales of their Xbox One cannot be completely ruled out. The console was also released in November. The gaming console by Microsoft reaches 1 million sales over a period of less than 24 hours as well. The Washington state based software behemoth announced that 3 million units had been sold as of the December 31, 2013. Since that point, there has not been any new data released about sales of the Xbox One. However, with Sony making an announcement about its hugely successful sales during January and early February it is likely numbers will be released by Microsoft shortly as to its most current sales figures for the Xbox One. PS4 sales for Sony are expected to go up even further as the Japanese based company is ready to launch its latest console on February 22 in Japan. This is the last country to see the launch of the device said Sony.